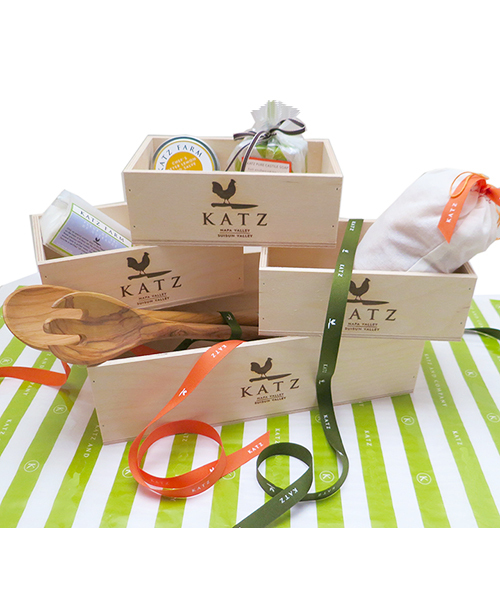 Our wooden boxes make an impressive package "add-on" for giving KATZ goodies to family, friends and important colleagues. Made right down the road by a Napa Valley box company, each one is branded with our KATZ chicken logo. So have some fun and use your imagination! Each box can be custom wrapped with cello and KATZ ribbon. Please contact us if you have any questions, and we will do the same!